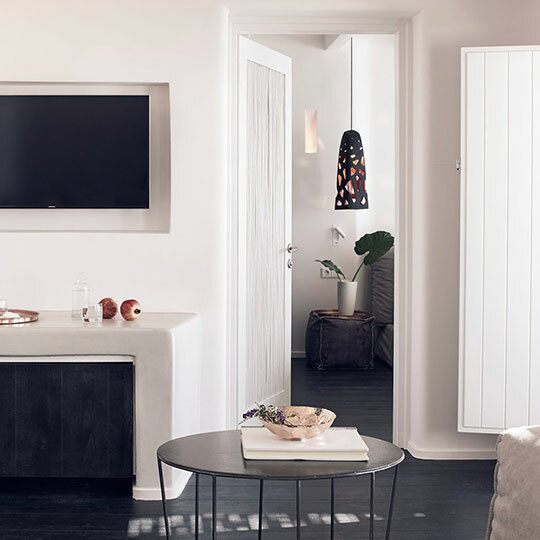 The Hotel Ariane in Fos-sur-Mer is located in the centre of beautiful park, a lush oasis that brings together the spirit of the Camargue with vivid Provençal colours. 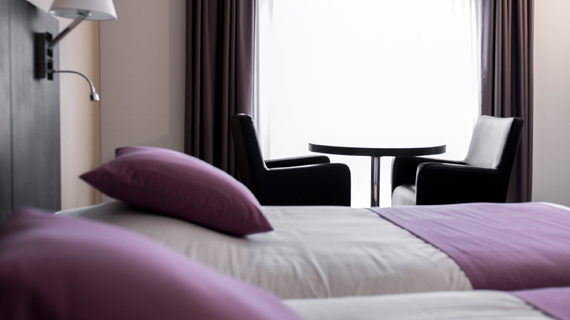 The 72 pleasant and spacious rooms will ensure a good night’s sleep after your meal. Spend an evening at our Étang des Saveurs restaurant to reconnect with your senses and with the Provençal landscape around you. Spacious, comfortable and soundproof rooms (25 m²) with air conditioning, a private bathroom, LCD television, Canal+ and satellite channels, telephone with a direct number and WiFi. Very spacious, comfortable and soundproof rooms (30 m²) with air conditioning, a private bathroom, LCD television, Canal+ and satellite channels, direct telephone line, WiFi and a hairdryer. 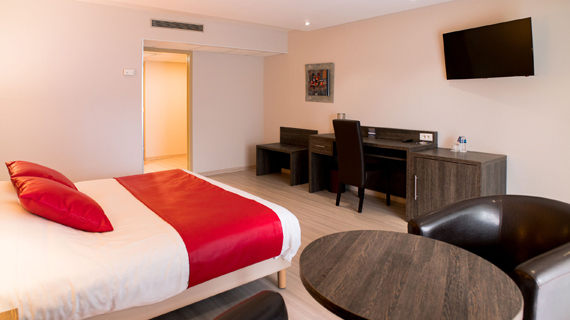 A calm and spacious suite with all amenities included: individual air conditioner, satellie TV and Canal+, direct telephone line, free WiFi, room service, free outside parking with CCTV, private garage on request (subject to availability).